Another fine cover J, I think the way you use your colours to create distance and depth in your backgrounds are fantastic! And I'm really digging the colour palettes you go with too. 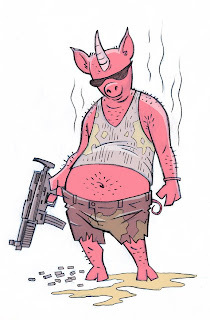 Don't really know what to say about the pigicorn!? 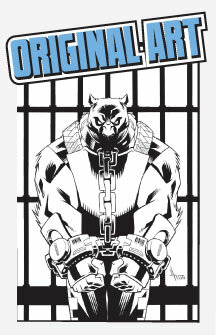 Love the Bat-like cover-see you at Heroescon! For a good ink combo, I like to use regular Higgins drawing ink and add som universal Draw Rapidograph ink. It's nice and black and doesn't gunk up at all. I've been using it for years and I've been doing this inkin' thing for a while! One of these days I'll at least make it up to Wizard World Chicago to see ya. Unless of course you make it to KC sometime (*hint, hint). Still, have fun at the con. 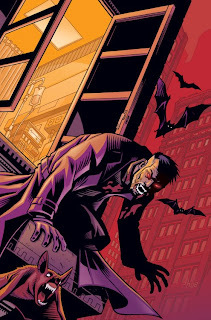 Lovin the darkness of cover #10!!!! 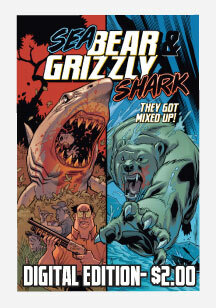 What's with this thing you thought up with Ryan Ottley... "The story of a bear and a shark that got mixed up". Will this ever see light of day, or where you just fooling around... probably whilst drunk, me thinks? It's posted on his site... I'd love to see your take on it.